If you want high-speed network access throughout your home and Wi-Fi isn’t cutting it, you’ve probably considered running Ethernet cables. But why not take advantage of the power lines you already have going everywhere? Power line networking isn’t a new idea—it’s been around in primitive forms for decades. 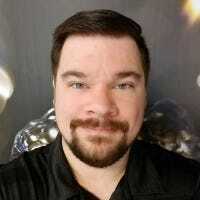 But the consumer standard known as HomePlug AV has been refining the technology significantly as of late, and today’s best adapters can give you speeds and latency good enough for 4K video streaming and low-latency games. It’s not as fast as Ethernet or the best Wi-Fi setups, but it’s relatively cheap and super-easy: just plug the adapters in and you’re good to go. Best of all (especially if you’re renting your living space), it requires no permanent rewiring or installation. We’ve selected the best overall powerline network adapter, the best solution for those on a budget, and the best for people who want to expand both their hardline network and Wi-Fi at the same time. Note that the adapters below can’t replace the connection directly to your internet service provider: you’ll still need to plug at least one adapter into your home’s primary modem or a router. Users and experts agree: TP-Link’s new AV2000 adapter is the best around. This updated version of a basic adapter uses the new AV2000 standard to get maximum data throughput on the electrical upline, downline, and ground, resulting in a theoretical maximum speed of two gigabits per second. Real-world use will be around half that (thanks to variables in your home’s electrical wiring), but anyone who isn’t using the absolute fastest fiber internet connection won’t notice anyway. 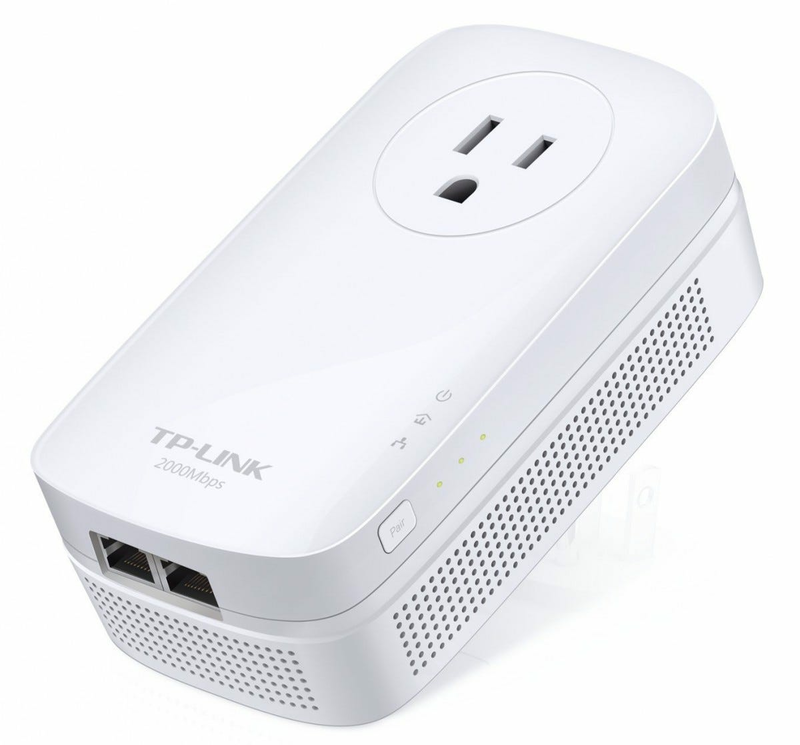 This model includes double gigabit Ethernet connections on both ends for connecting multiple devices, switches, or Wi-Fi routers, and a pass-through electrical outlet to make sure you can connect it directly to the wall outlet for maximum speed. Reviewers found that, among the limited options available for AV2000-equipped hardware, this model offers the fastest and most consistent speeds. And at $100 for two adapters (one to connect directly to your router or modem, one to extend the network), it’s not much more expensive than competing models offering considerably lower speeds. 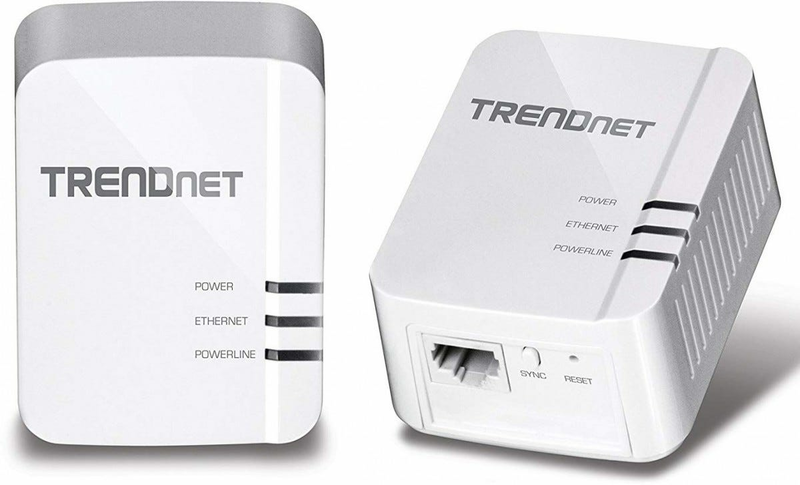 If all you need is a single connection to that one room that’s out of Wi-Fi or Ethernet range, this TRENDnet kit will do the trick. It uses the slightly older AV1200 powerline standard, so real-world speeds will top out at about 500-600 megabits per second. But that should still be enough for high-definition video and pretty much anything less demanding. With a single Ethernet port and no power outlet pass-through it’s a little short on creature comforts, but it will get the job done if running a long Ethernet cable isn’t an option. 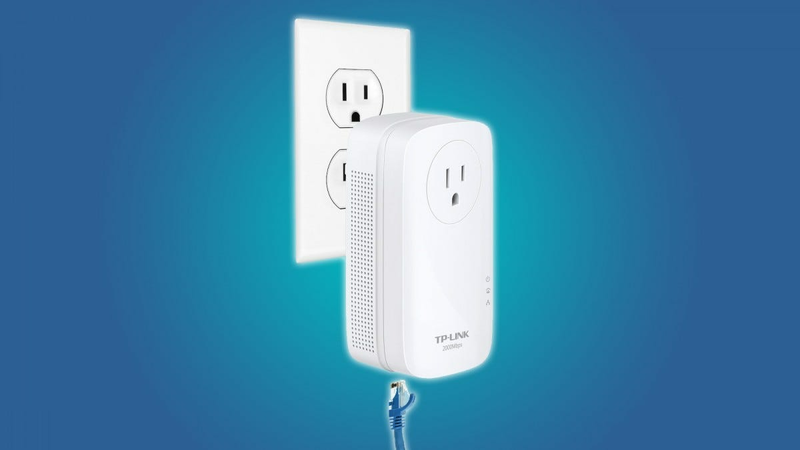 And at $55 for the base connector and expansion unit together, it’s extremely economical—keep in mind that you can add new expansions later if you want to connect more outlets to the network. Refurbished versions can be found for even less. Even if you want a hardline connection to specific devices, you probably already have a Wi-Fi network in your home. If you want to expand both of them at the same time with the minimum amount of hardware, this combination device is for you. The primary connector takes Ethernet from your ISP-installed modem or router, but the paired device rebroadcasts the connection over Wi-Fi in addition to outputting it to three gigabit Ethernet ports. It’s an ideal companion for the outlet behind your TV—you could hard connect a game console, smart TV, and a web-enabled Blu-Ray player, all while having a handy nearby Wi-Fi signal for wireless-only tablets and phones. If you’d prefer to simply extend your Wi-Fi network without setting up a new access point, the handy “clone” feature will copy the SSID and password of any installed router it’s connected to. The extra Wi-Fi hardware means there’s no pass-through outlet on the expansion device, but it’s an acceptable trade-off for users in this very particular niche. 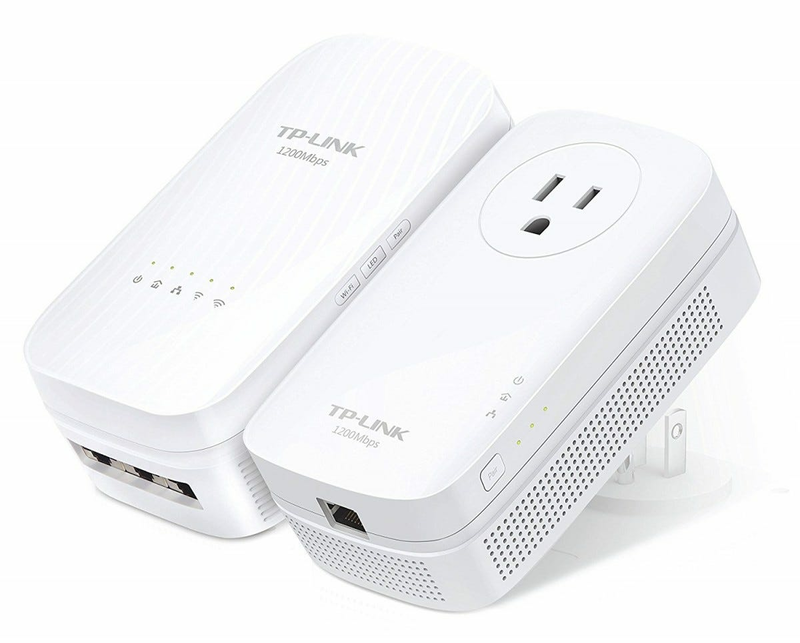 Similar but more expensive TP-Link variants offer faster powerline data with fewer Ethernet ports, or slower Wi-Fi speeds with an outlet pass-through.